Care2 Update: Amber Guyger, the Dallas police officer who shot and killed Botham Jean in his home, has finally been fired from the Dallas PD. We still need to keep the pressure on to make sure that the Dallas District Attorney and police take this case seriously, investigate Guyger, and charge her with murder. Dallas resident Botham Shem Jean was minding his own business in his apartment when off-duty police officer Amber Guyger burst in and shot him. In a country where police killings of Black men occur on a nearly daily basis in a dizzying array of settings, even this one stands out: Your home is your castle, and the thought that you aren't even safe to sit on the living room couch and enjoy some Netflix is a chilling one. There was absolutely no reason for Guyger to enter his apartment, let alone shoot and kill him. Please sign this petition demanding that Dallas Police Chief Renee Hall fire Amber Guyger now and charge her with murder. Guyger claims she got off work and mistakenly exited the building's elevator at the wrong floor, entered his apartment instead of her own, thought he was an intruder, and shot him after he failed to obey "commands." In Jean's defense, who expects an armed stranger to charge into your house and start yelling? There's a lot wrong with this case, starting with Jean's death. Plus, Guyger's story keeps changing; first she said the door was locked and her keys didn't work in it, then it was unlocked, then "ajar," even as neighbors said they could hear her shouting and pounding on the door. They also noted that Jean's residence had a bright red doormat. Pretty hard to miss, even if you are tired after a long day of work. Guyger has been charged with manslaughter and released on bond, but she's still on the force. She's on administrative leave, but receiving full pay and benefits. Sadly, the injustice doesn't even end there. Despite having done absolutely nothing wrong, police are trying to paint Jean as the criminal instead of Guyger. This week, they searched Jean's apartment and reported that they found marijuana, something that has nothing to do with the case. Police should be investigating Guyger, not Jean. The uniform is not a get-out-of-jail-free card. Dallas police must fire Amber Guyger now and charge her with murder. 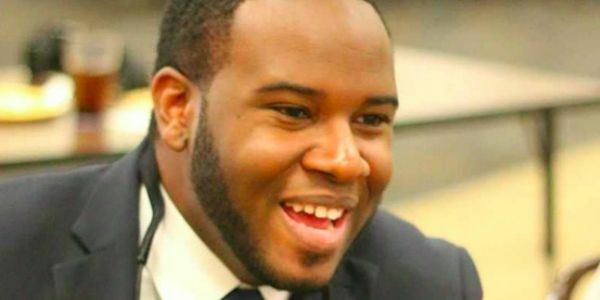 Sign now to get justice for Botham Shem Jean. 9 activists protesting this needless murder were thrown in jail for longer than the cop who actually killed Botham Jean in his own home.